Chesterman Beach is one of the longer, larger sandy beach attractions close to the community of Tofino, BC on Vancouver Island, Canada. It is not one of the beaches within the Pacific Rim National Park, but might as well be. 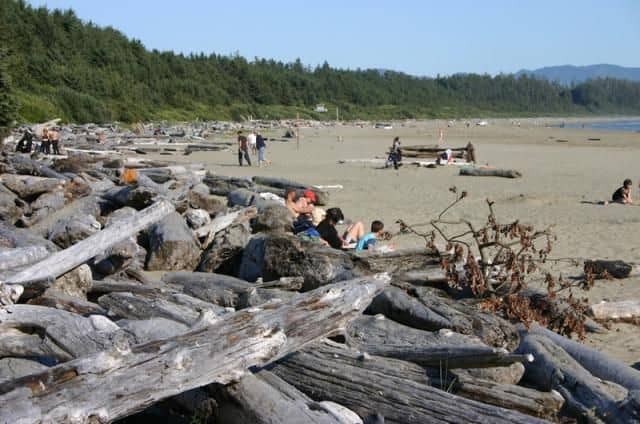 During the tofino, BC summer months the activities enjoyed on Chesterman Beach include beachcombing, picnicking, frisbee, bocce ball, walking, sightseeing, surfing, kayaking and swimming. In the winter months the beach is visited by storm watchers and surfers. Chesterman Beach is another one those beaches which attracts families especially during low tides as the receeding waterline exposes many tidal pools for exploring and rock outcroppings for interesting photography. The exposed sandy shoreline attracts many to the beach for suntanning, sand castles and relaxation. Being that the south end of the beach is closer to the shoreline cliffs the ocean waters are calmer for kayak beach launchings, for families with small children, and for those who like to read without pages flapping around. Many kayak tours launch from this end of the beach when exploring the shoreline of the Pacific Rim National Park. 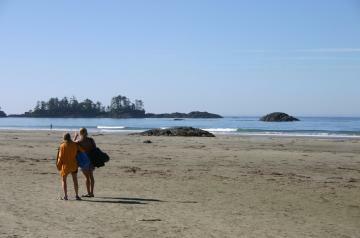 How to Get Here: Travel to the community of Tofino on the west coast of Vancouver Island, BC. Before entering Tofino access Lynn or Chesterman Road (same road - loop route). There are three access areas to the beach with varying sizes of parking lots. Beach is accessed from short dirt trail.